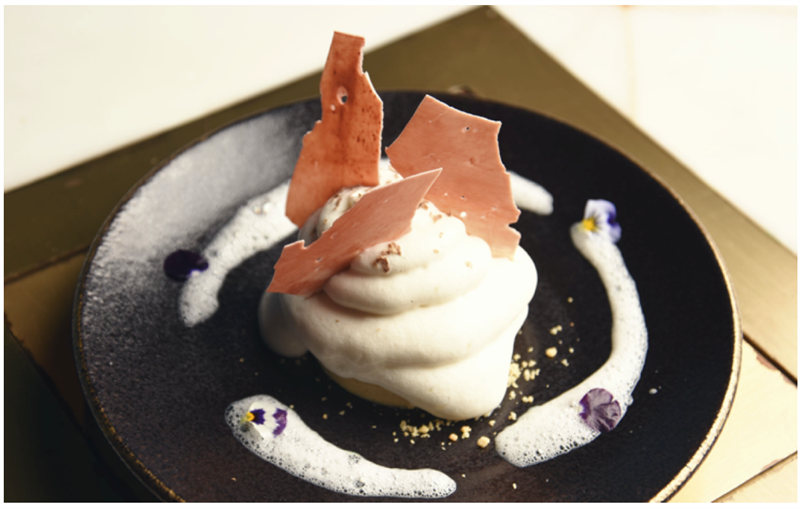 Quattro manages to create a perfect amalgamation of two world famous cuisines and molecular creativity culminating in gastronomical experience of sorts. Considering it is a 100 percent pure vegetarian restaurant in a country that is majorly carnivorous, this ristorante deserves kudos. 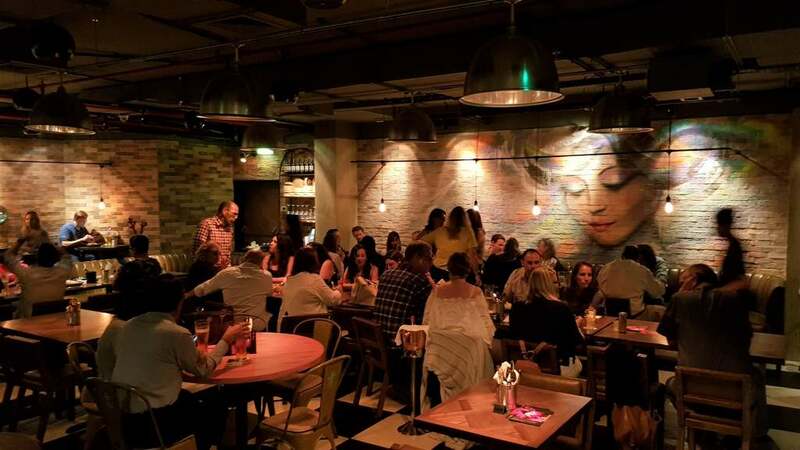 Dubai foodies who throng the venue for a new dining experience are treated to the culinary wizardry of Chef Harshal Tanawade who is a master at creating impressions. Chef Harshal doesn’t want you to just eat his food, he wants you to feel it. Using creativity, tact, and technique, he elevates the taste of his fare to remarkably high levels. You’ll not be surprised why Quattro is one of the most popular progressive cuisine restaurants on this side of town. 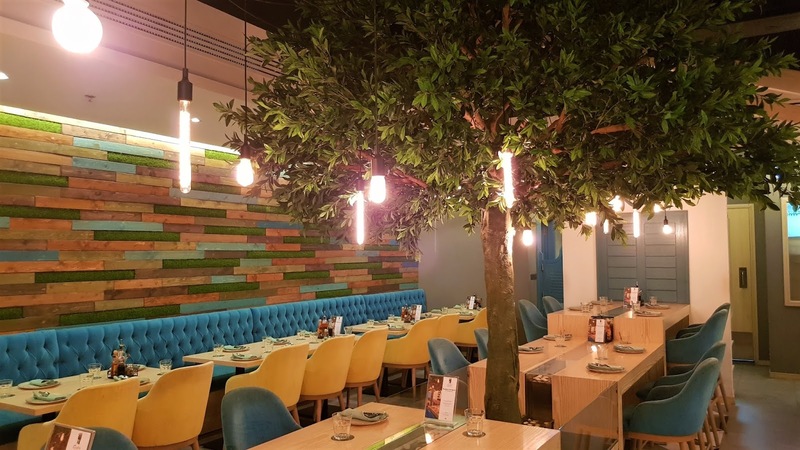 We were there on December 10th 2017, exactly a year after ristorante extraordinaire opened its doors in the neighbourhood of Mankool. 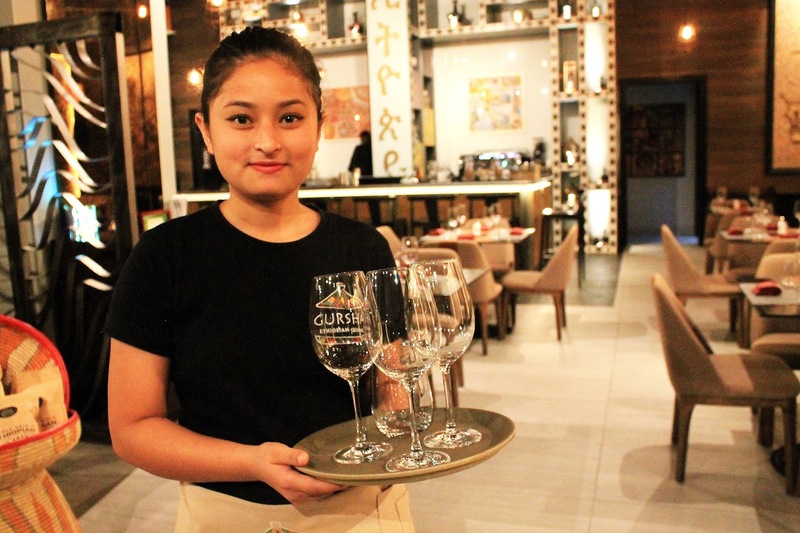 Despite strong contenders bang opposite, Quattro has managed to create a niche in the locality and a loyal following of ardent foodies who swear by its name. After our visit, we now consider ourselves to be on that list too! We started off with Apple Basil Cooler and Passion Fruit Lemon Grass. Green and refreshing with a stream of smoke and chilled to the perfect level, the apple basil cooler revitalized the senses. This is one drink that I can have over and over again, every single day after a tired day at work. This drink was absolutely divine and out of the world. 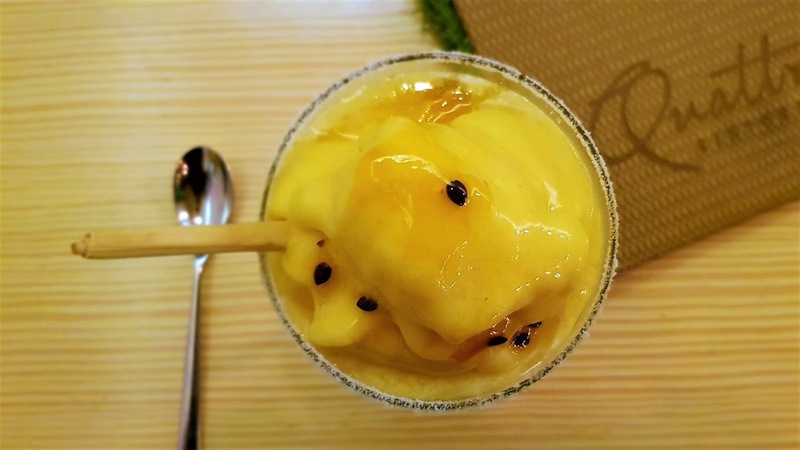 Passion fruit being my favorite among all fruits, I gulped this unbeatable concoction hands down. Relatively thick, this Margarita could well be scooped up like ice cream when it is served, or if you fancy - thawed down and sipped up in a whiff. Both ways, it tastes truly fascinating. With citrusy lemon grass and dizzying amounts of sugar, it clearly turned out to be a winner for me. 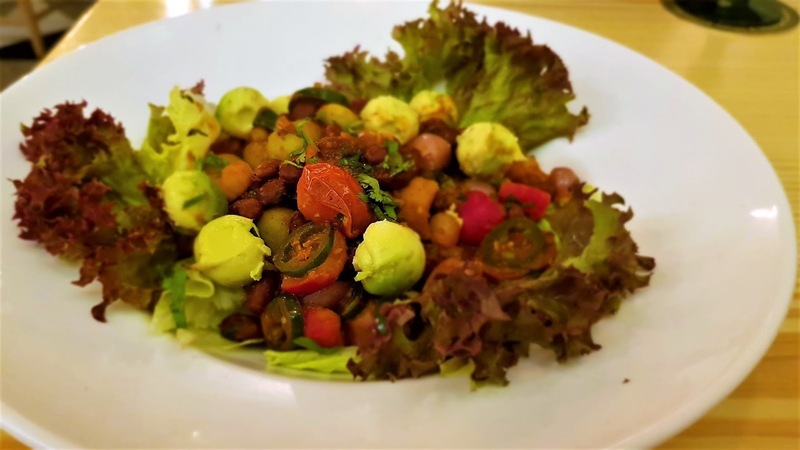 For Salad we were served with Insalate Castano – a Mexican salad made of water chestnuts, jalapeños, shallots, beans, radish and cherry tomatoes dressed in spicy Mexican sauce. It burst with flavor and was as spicy as an Indian or Mexican would appreciate. For starters we had Taquito, Corn Cakes Avacado Salsa and Bruchetta to top it all. Tortilla lovers will rejoice with this fusion dish as it packs flavorful tomato salsa, jalapenos and beans in small sized gluten-free crispy tortilla cones, with the best part being the avocado ice cream in the center. 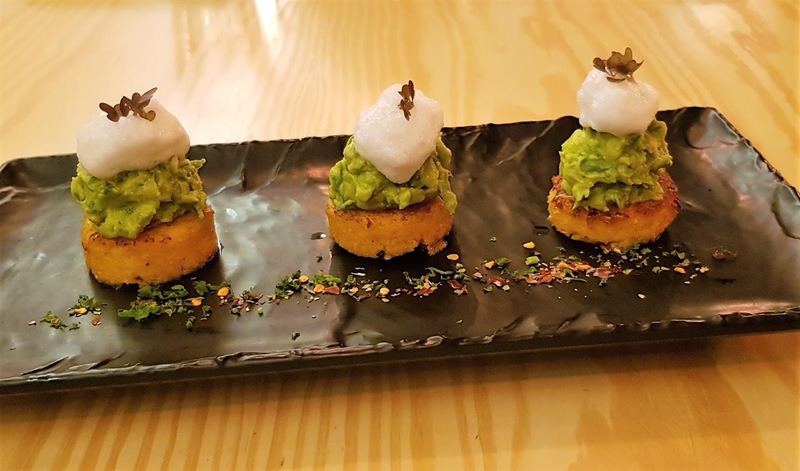 The fresh corn cakes layered with spicy guacamole in the center and sour cream foam on top made for an incredibly mouth-watering dish. It was bursting with contrasting flavors and was a delight in every single bite. Fried Risotto balls stuffed with Quattro’s signature cream and loads of cheese - this dish is a must have. Savour it as fiery as you fancy, thanks to the spicy-oil pipettes thoughtfully pierced into these balls. This dish was crunchy, cheesy and lip-smacking. 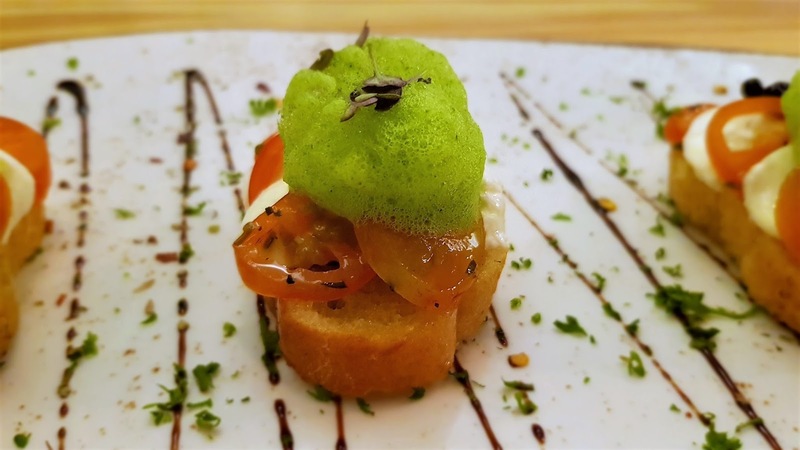 Centered with thick buffalo mozzarella and cherry tomatoes and topped with parsley foam and balsamic pearls over crispy toasted baguette, this scrupmtious Italian appetizer sealed the deal for us. The Quesadillas were wrapped in flour tortillas and packed with Quattro’s rich home-made cheese blend. It was served with Grilled Vegetables, Mexican Beans, Guacamole, Mexican Rice and Sour Cream. 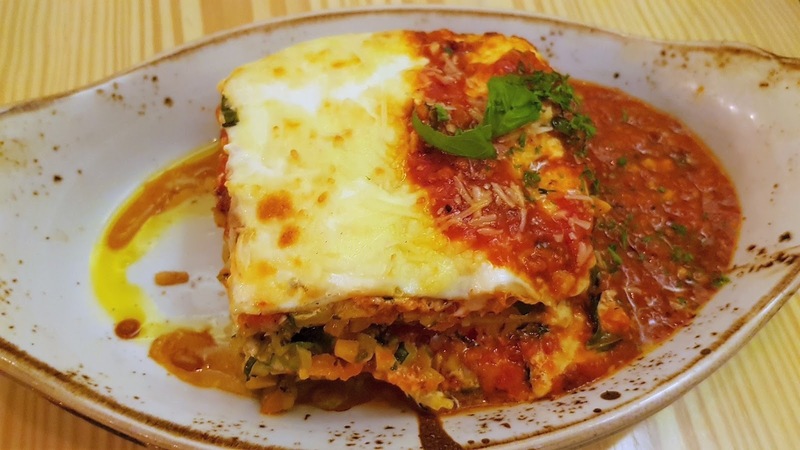 A very luscious and filling dish with layers of oven-baked pasta, béchamel, pomodora, veggies, basil and generous portions of cheese. We were already surfeit with all this indulgence but the loving Quattro team wouldn’t let us go, without trying their unbeatable desserts. 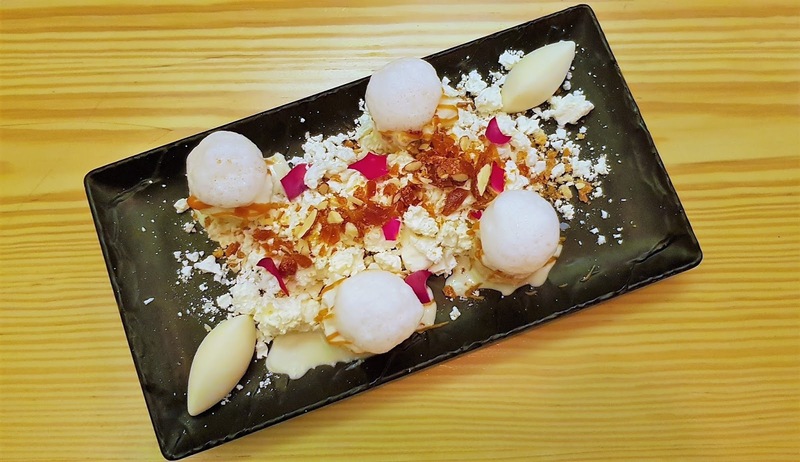 Tres Leches - This ever-delectable creamy and luscious Mexican cake which gets its name from the “three milks” was presented in its deconstructed form. This dessert was a killer. 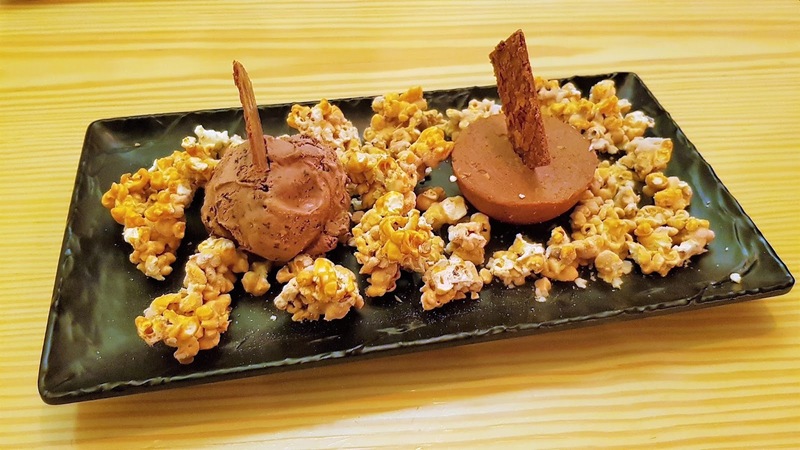 Hazelnut Mousse - Pop corn and candied hazelnut served with rich and tasty Belgian chocolate ice cream. Very unique in taste and form, but we just couldn't complete it, as by then, we were already feeling drunk - drunk with food. 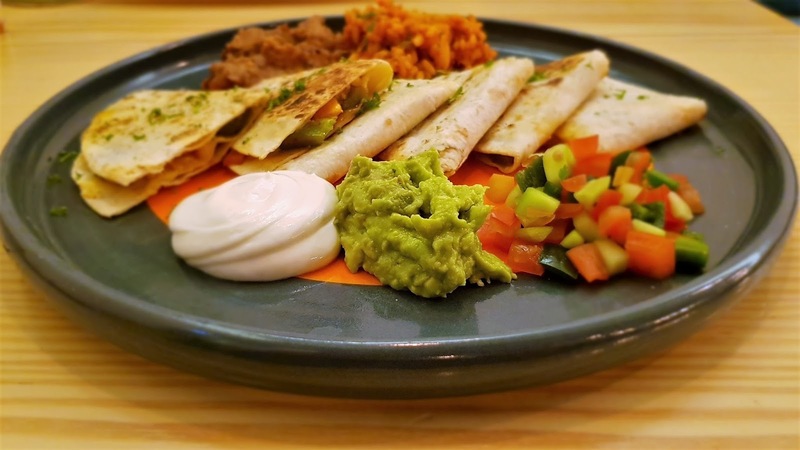 Quattro is one of the finest progressive Mexican-Italian restaurant in Bur Dubai serving up a wide array of innovative dishes. The ambiance is simple, relaxed with the focus being more on the food than the place where it is served. Therefore no unnecessary distractions in the name of artsy props or decor. The tree on the centre and the potted plants are a big relief, though. The service is prompt, friendly and their team are an amazing bunch – this includes the outlet managers Vernon and Wantson. The food presentation is aesthetic and here again the Chef demonstrates his creativity, making every dish instagram-worthy. The price is very much reasonable with none of the dishes on the menu costing more than AED 60. 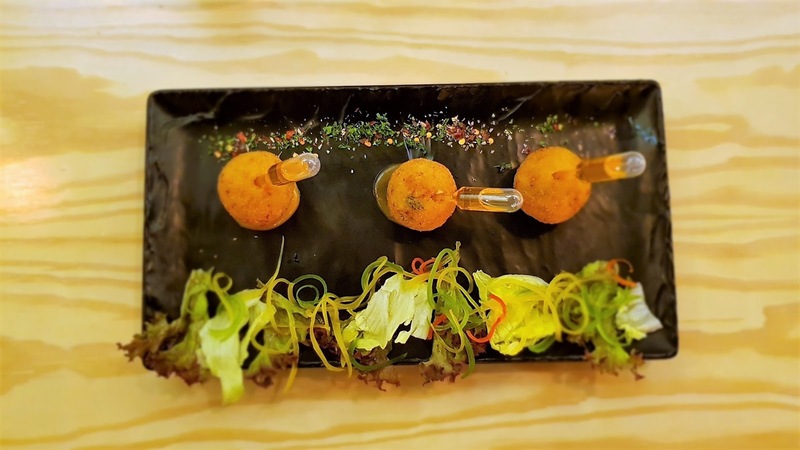 You most definitely cannot find a better place in Dubai to try molecular gastronomy at such a down to earth price. I recommend this restaurant as one place that you MUST visit. You’ll not be disappointed and its worth every cent of the money you spend.